Myra Rutledge isn't ready to mothball the Sisterhood just yet. When Maggie Spitzer, former editor-in-chief of the Post and an honorary member of the Sisterhood, arrives with a new mission in mind, the Vigilantes are soon gathering in their war room once more. While catching up on each other's lives, they plan a brilliant campaign against a duo of corrupt judges running a moneymaking racket that sends young offenders to brutal boot camps, often on trumped-up charges. Their enemies are powerful and ruthless, but the Sisterhood have their own formidable allies--including former President Martine Connor. Once their scheme takes off, the guilty won't know what hit them. . . This book literally wasn't what I thought it was - the blurb text for the review copy I requested apparently was mixed with a different book. Determined to do the book right, I still read it. Unfortunately, the author's style of writing didn't agree with me. So this is a sort of women's vigilante justice league type book. The Sisterhood is a collection of powerful, intelligent, go-getter women ranging from a former president, a retired Federal judge to an independently wealthy financier of operations and a reporter. There's many characters in the Sisterhood itself to keep track of and I imagine that by book 22, which Blindsided apparently is, the average reader has had plenty of time to learn all of their backgrounds and personal quirks. On the plus side, there's some serious female empowerment here as the women are clearly the show while their men provide support. I appreciated the agency the women enjoyed and exercised. This book focuses on a case in which twin judges have been abusing their power for financial gain. They've got the entire town of Baywater under their thumbs, sending off anyone guilty of a crime to rehabilitation camps located on the judges' vast properties. Unfortunately, the first half of the book is mostly about planning how to investigate Maggie's hunch about these two women, with very little actual action. Perhaps logical for them to come together with a solid plan (much was made of Myra's husband Charles putting together 'Legends' (covers?) for the people who would be their women and men on the ground in Baywater), said plan is never entirely clearly laid out for the reader. Instead, lots of potential ideas are thrown out, half-formed back-ups or theoreticals that are always cautioned by the characters as being simply that. I found it all a bit boring, though I imagine a fan of the series would get more out of it because they'd have an attachment to these characters already in place, as well as expectations about how all this planning would turn out. I also had no great sense of urgency towards the case that the women were investigating. It seemed obvious that the judges were corrupt, it seemed clear that Sisterhood was far more powerful and well-connected than the twins. If there were hints early on that it was going to be more complicated than simply deciding how to mete out justice than I missed them completely. The other problem I had was with the dialogue. It all felt a little stilted to me. There was great inner dialogue - much time is spent with Pearl, the former judge who operates an underground railroad for women and children in need, as she works to lose the agents who have been assigned to watch her (for criminal wrongdoing - I was very confused about why this stakeout was happening). Her fretting and pondering and general woolgathering was quite well-written and suited to the character and situation. I enjoyed that. Unfortunately, when everyone started talking, they felt overly formal or long winded, explaining things to each other that seemed unnecessary. In general, I wasn't impressed by the dialogue. Now, when I break it down, I think some of my problems can be associated with being a latecomer to the series. Traditionally, I would not recommend leaping into a series at book 22 - and I take full responsibility for those problems. Some of the plot stuff, and definitely my inability to really bond with the characters I can chalk up to this. But I think the dialogue and the pacing I can fairly attribute to the book itself. Though I felt it was not a poorly written book, it also didn't engage me. This book was simply not for me. I imagine that a fan of the series might enjoy it, though I'd caution about the pacing issues (I imagine you're accustomed to the dialogue by now if you're a fan!). If you've never read a Sisterhood book before, I'd suggest starting earlier in the series. 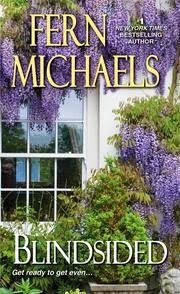 For fans of Fern Michaels and the Sisterhood series.